There are few places in the world that can claim to have so many diverse characteristics as the capital of Taiwan. Taipei is a small city of contradictions – throughout its rich history, this place has undergone many different cultural, ethnical and political changes. So it’s about time you discover Taipei, which is very hard to resist. 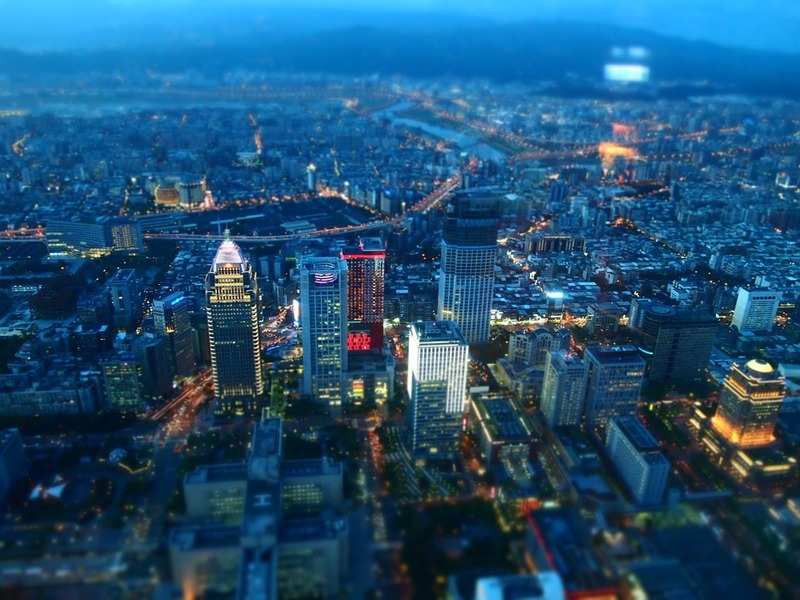 To say that Taipei is a real melting pot of cultures and people would be an understatement. Its blend of Chinese culture with a strange fusion of Japanese, South-east Asian and American influences make it a truly unique place. 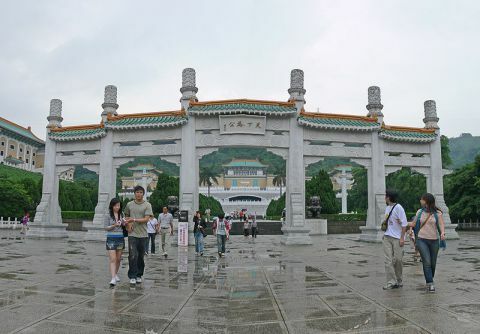 If you only have time to visit one museum, make it the National Palace Museum, the biggest museum of Chinese art. Get to see the ceramics, painting, objects of religious worship and all kinds of artifacts. Make sure to have a lot of time to explore the museum, as it consists of 3 levels of amazing art you will need enough time to appreciate. The National Palace Museum hosts the largest collection of Chinese artifacts. Feeling peckish in the middle of the night? No problem. Taipei’s popular night markets, like Shilin Night Market – the biggest of them, offer a variety of street food snacks sold in stalls – from oyster omelets to Fried Lamb and Bubble Ice. Of course, you may also enjoy a square traditional meal in one of the housed eateries in the area. An added bonus? You can also buy fashionable clothes in most of those markets. Though you may not want to touch your new clothes with greasy tofu fingers. 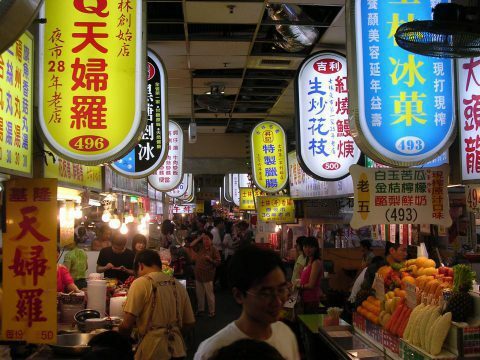 The famous Shilin night market will satisfy your late night appetite. 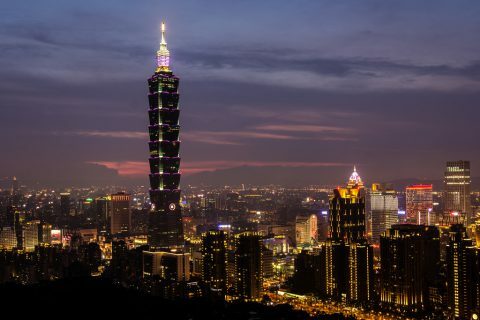 Standing proudly in the skyscape of Taiwan’s capital is Taipei 101 Tower – a landmark that should be on your list of things see in this exciting city. From the first glance, you will be able to tell where its makers drew inspiration: the native Chinese bamboo plant. But it isn’t just pretty to look at. This marvelous building has been designed to withstand earthquakes and typhoons. Taipei 101 Tower held the record for tallest building in the world from 2004 to 2010 when Burj Dubai broke its record. At the base of 101, you will find a mall, and there are observation decks on some floors too. A modern landmark, Taipei 101 tower was until recently the tallest building in the world. No visit to Taiwan can be complete without a visit to its magnificent temples. Scattered among the city’s skyscrapers are Taipei’s numerous Buddhist, Taoist, and Confucian temples, and picking which ones to visit can be a tall order. Thankfully, we have done the hard work for you, narrowing them down to 3 unmissable temples. The first one is Longshan Temple, a grandiose temple originally built for the worship of the Goddess of Mercy. Today, however, you will find statues honoring more than 100 gods and you can pick your favorite to burn an incense stick for. Look out for the sculptures of mythical creatures that are said to be guarding the temple. 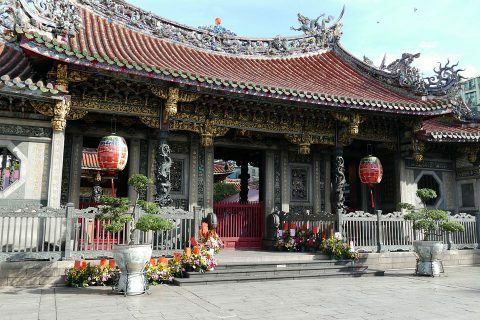 Visit Longshan Temple and marvel at the intricate details in its decoration. The second temple you shouldn’t miss is the one dedicated to Confucius, the famous Chinese teacher and philosopher. 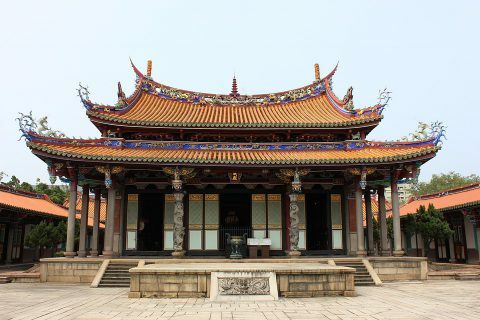 You will find that the architecture of Confucious Temple is a lot more minimalist, to reflect the great man’s philosophy. This temple was built in 1879 but was destroyed when the country came under Japanese rule. It was, renovated again in 1930 by Wang Yi-Shun, who also happens to be the designer of the previously mentioned Longshan Temple. Confucious Temple is rather simple in style, reflecting the great teacher and philosopher’s mentality. Last, but definitely not least, is the Bao’an Temple. This Temple has received a Unesco Asia-Pacific Heritage Award for being so well restored (from 1995 to 2002) and reviving traditions and rituals. The Temple holds a folk arts festival (Baosheng Cultural Festival) from March to June, which makes for a unique experience for those who happen to visit Taipei during that time. 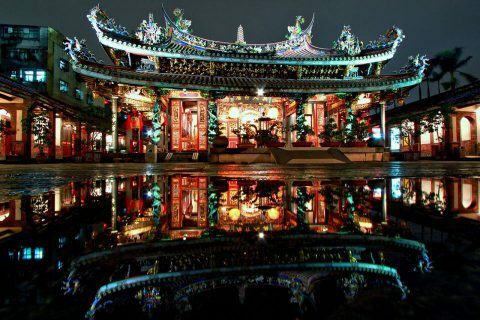 Bao’an temple has been restored and is now one of the most marvelous temples in cosmopolitan Taipei. There are, of course, so many other things to see and do in this fantastic, colorful and vivid city. But we want to let you discover Taipei for yourself too. Did you find this article enlightening? Read about more amazing places, and choose your favorite, here. If you want to also want to do a little bit of research about the Asian place that has the most beautiful women, you can get a taste in AsianDate. If you like social media, you may want to follow us on Twitter and Instagram. If the everyday hustle and bustle, the routine at work and the grey walls of the city are starting to take a toll on you, there is one place waiting for you to discover: the beautiful islands of Indonesia. 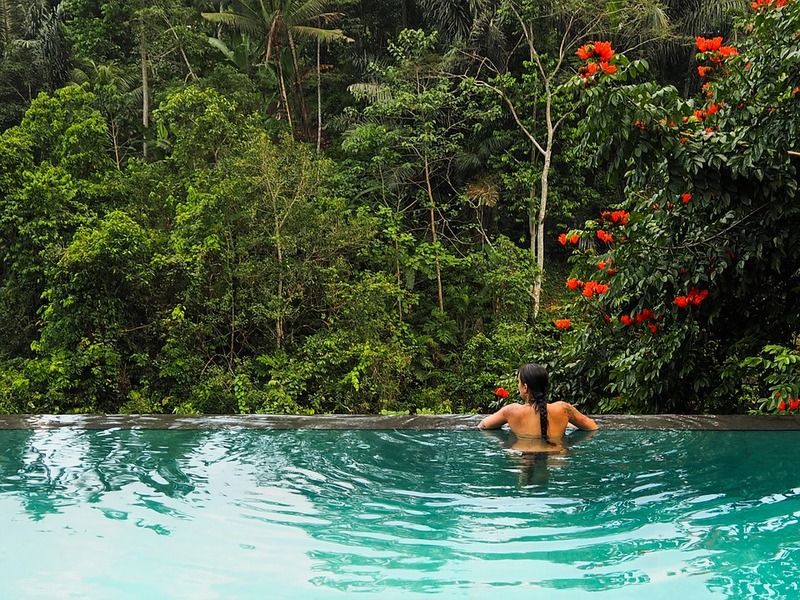 These are the places in Indonesia to visit when you need to unwind and spend some special time with your girl. With more than seventeen thousand islands, the Indonesian archipelago with its shimmering beaches, sloping hills, lush greenery, emerald islands, and crystal clear waters forms the ideal backdrop to an unforgettable experience. Here are the top destinations to visit in Indonesia. Bali Island. The Island of the Gods has wonderful sandy beaches for romance and relaxation, like the serene Crystal Bay or the more popular Kuta Bay. However, it also offers thrills for the more adventurous types. Visit the captivating, exotic Padang Padang beach – where scenes from the film “Eat, Pray, Love” were shot. If you are looking for an exciting “surf break”, this is the place for you. A little further, at Pantai Suluban, one can find the legendary Uluwatu waves too. Bali is one of the most popular islands in Indonesia – for good reason. This small island of only 30,000 hectares is ideal for those who appreciate the unspoiled beauty of wild nature, not just organized hotels and resorts. 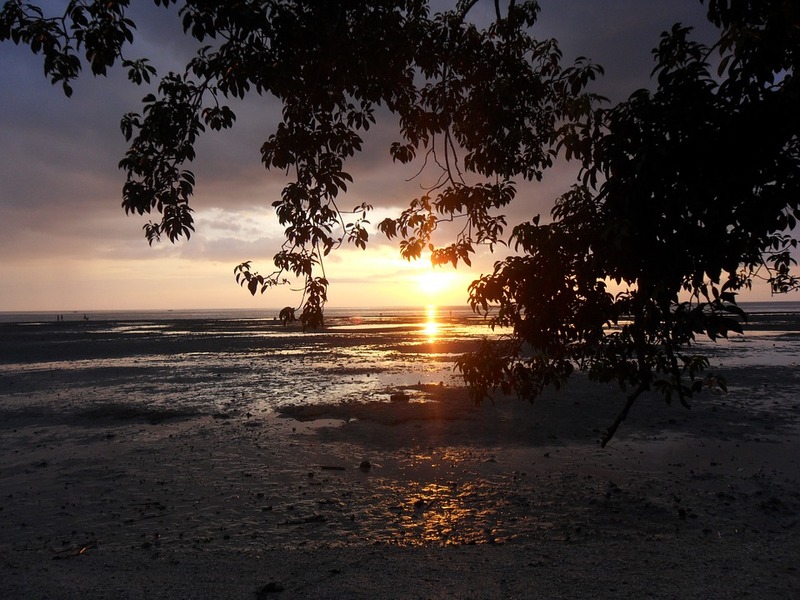 Visit Moyo island if you are attracted to the beauty of a lush virgin forest and waterfalls and exotic wildlife. 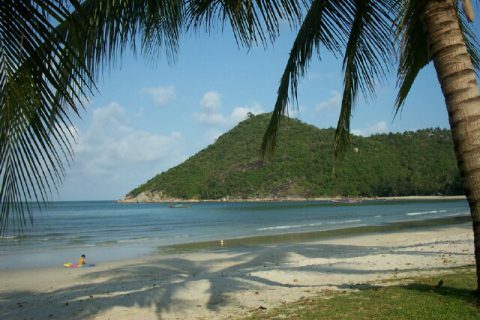 Of course, it has the standard sandy beaches and the crystal waters Indonesia is famous for, too. 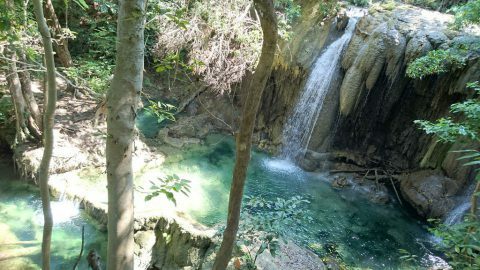 For those who admire wild nature, the waterfalls in Moyo island are sure to impress. No visit to Indonesia could be complete without seeing the culture hub that is Yogyakarta. Visit this place for the famous Borobodur – an eighth century Buddhist temple and a UNESCO World Heritage Site, the food and the local art. If you are the daring types, why not climb up the active volcano Mt Merapi for a truly once-in-a-lifetime experience? You can also visit the beautiful local villages and see the ruins at Taman Sari, the former royal garden of the Sultanate of Yogyakarta. Taman Sari is one of the most historically and artistically places in Indonesia. With its fabulous beaches, playful waves, breath-taking wild nature and historical and art sites to visit and explore, there is simply no way you will not find your Zen in these blessed places in Indonesia. For more travel articles and ideas, continue reading here. 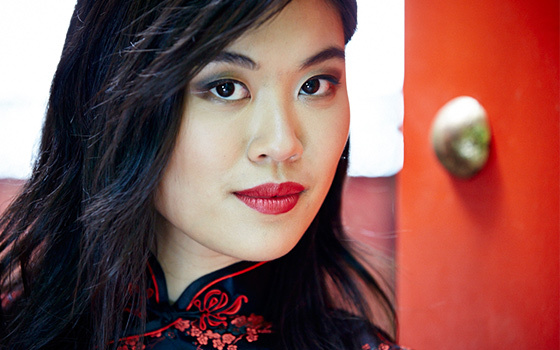 For the chance to meet gorgeous Asian ladies, visit AsianDate. And for more about us, click here. It may come as a surprise, but despite the fact that this beautiful country at the center of the Indochinese peninsula welcomes around sixteen million foreigners each year, it manages to keep its unique character and natural beauty. Even though Thailand is such a popular destination, you will find that it has not lost its own rich heritage. There are high-rise buildings and impressive neon lights in the tourist centers, but the endless beaches of Thailand hold such wild, virgin beauty that will make you want to stay there forever. Each of the beaches on our list has its own unique character, but all of them are simply wonderful tropical miracles. Let’s have a closer look at them. Once a well-kept secret of the locals, this small but gorgeous beach has only recently been discovered by tourists. With only a few hotels, restaurants and shops nearby, it is still quiet enough for the visitors to enjoy themselves soaking up the sun, but also have a cocktail when the sun goes down at one of the local restaurants sitting above the beach. For the more adventurous visitors, the Ya Nui, a sandy cove further south, lends itself to snorkeling and diving activities. 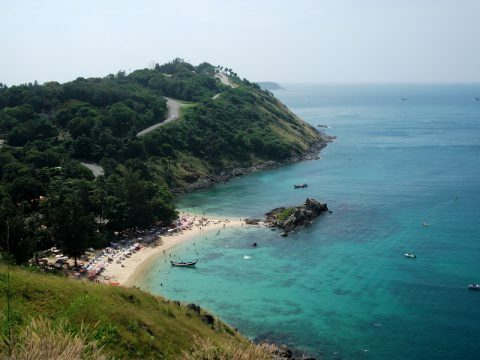 Once a well-kept secret of the locals, Nai Harn Beach is one of the loveliest beaches of Thailand. This cave on the east side of the Railay Bay is known for its stalactites and stalagmites. Since ancient times, Phra Nang (Princess) Cave has been a place of worship for fishermen, who believe the cave to be the home of a mythical sea princess. For the thrill-seekers, the rocks offer a great chance to climb. For the beach lovers, the white sandy beach and the clear green and blue waters make this a gem of a place. If you visit during the sunset, make sure to have your cameras at the ready for some magnificent views. 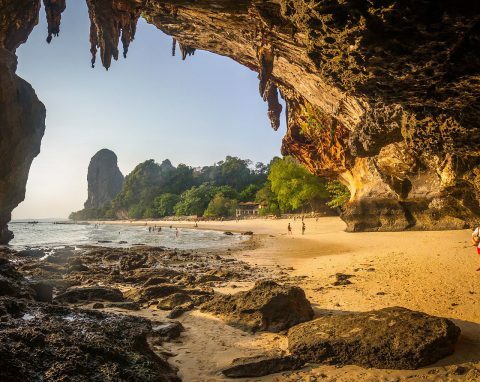 Phra Nang Cave Beach is one of the most interesting beaches of Thailand. This fantastic soft white sand beach near Koh Phangan is ideal for the traveler seeking to relax and become one with nature. Thong Nai Pan Noi is a calm beach with amazing waters and a calm refreshing breeze throughout the year. You can also enjoy a relaxing massage or use the pools in the nearby hotels for free. A stay on the island is highly recommended, as the sunsets here are just unmissable. If you are looking for a romantic getaway in Thailand, this is the place for you. Thong Nai Pan Noi Beach is among the most romantic beaches of Thailand. Thailand, Asia’s number one travel destination, has so many things to see and do that they wouldn’t fit in 100 articles, but if you want to get a real taste of the exotic beaches of Thailand you must see them for yourself. If you want to read more about wonderful destinations in Asia, click here. For the chance to meet real Asian beauties who can tell you more about their place, visit AsianDate. For dating advice and news, read our blog. The mesmerizing Philippine islands (named after King Philip II of Spain) are an archipelago of over 7,000 islands lying about 805km off the south-east coast of Asia. They are all tropical paradises, with the friendliest people you can meet and unspoilt beauty that just takes your breath away. Today, we will look at the most interesting couple destinations there. Whether you are the adventurous types or you are after relaxation and a good tan, there is something in the Philippines for you and your loved one. San Pablo, Laguna is one of the oldest cities in the Philippines. For the hiking lovers, this is a place of great interest. 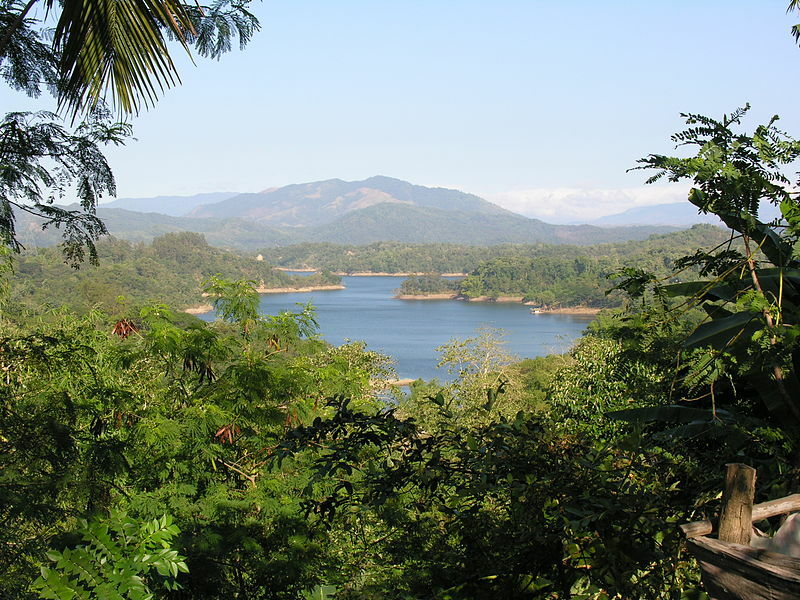 We are talking about a wonderful landscape of seven crater lakes scattered around the city that can all be explored in one day. One of the most beautiful sights in one of the oldest cities in the Philippines. 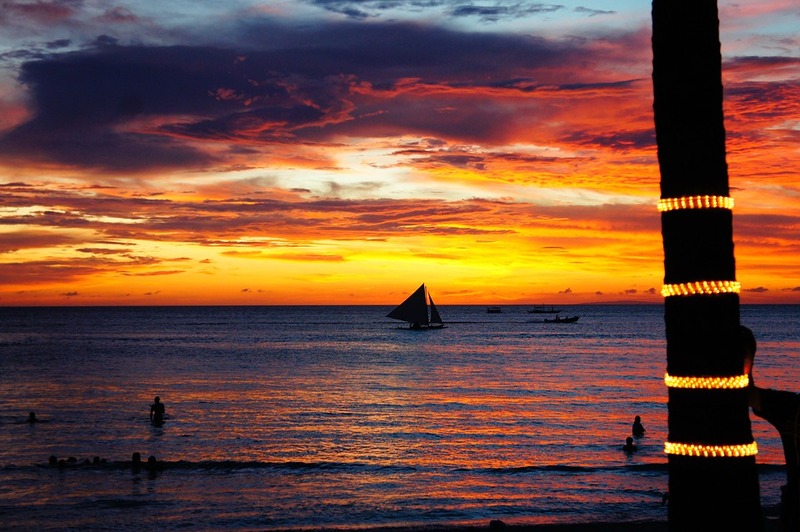 If you are more interested in catching the sun and relaxing on a magnificent, sandy beach, Boracay is just the thing for you. 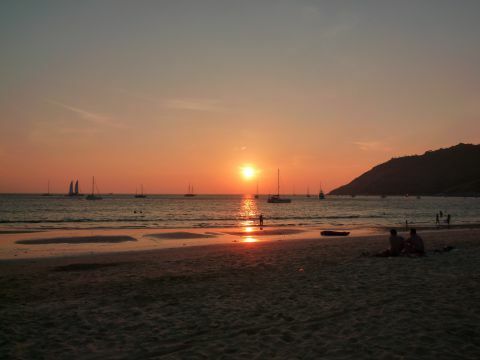 Enjoy swimming in the turquoise waters, lie on its beautiful white sandy beach and enjoy the most idyllic sunset there. You can also visit one of the restaurants and bars nearby for food or drinks, or do water sports if you are feeling more active. Batanes is the ideal destination for you if rolling hills, endless fields with cows, small traditional houses and a day in the countryside are your cup of tea. Visit these 10 tiny islands of beautiful green hills and cobblestone-walled houses with thatched roofs for an experience that will stay with you forever. 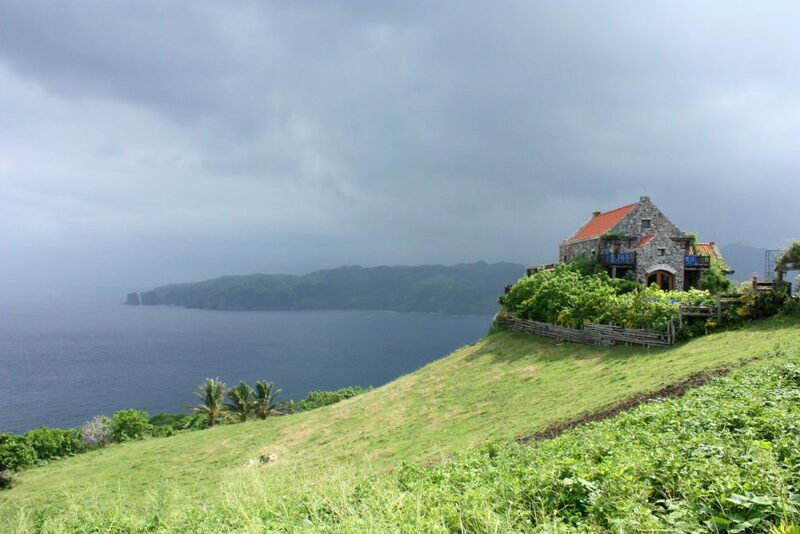 Enjoy the wonderful nature and local hospitality in Batanes. For a more European flavor, visit the city of Vigan. This is a UNESCO-listed heritage city and one of the New 7 Wonders cities. Think cobblestone streets, old-fashioned houses, horse and buggy rides and a relaxed way of life. 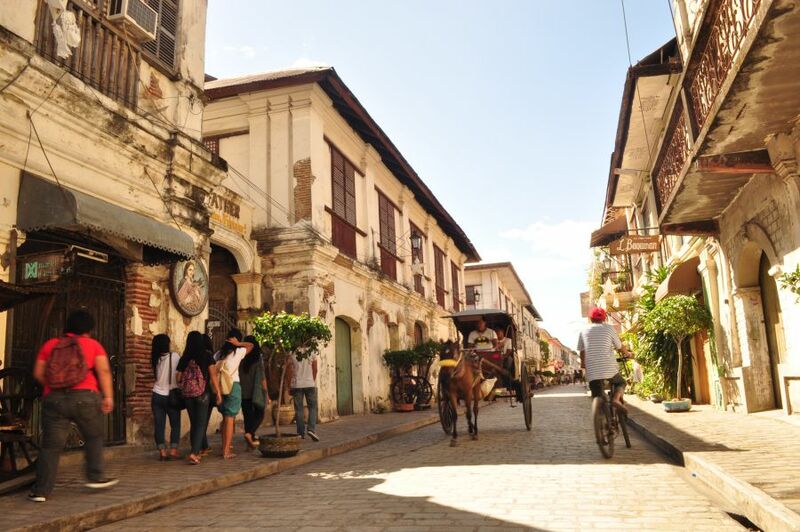 Vigan City is like a trip back in time, making this destination ideal for romantic couples. The Spaniards have left their mark in this picturesque town of the Philippines. Of course, these are just some of the beauties of the Philippines. This tropical paradise has many more beautiful beaches, cities and sights that cannot all be fitted into an article – one must experience them first hand. And for those of you who don’t just appreciate the beauty of this place, but also admire the beauty of its women, why not visit AsianDate and discuss the Philippines with local ladies who may even show you around when you visit? For more articles on traveling, read here. If you like the social media, find us on LinkedIn and Instagram.